Where does WebRTC School come from? WebRTC School is the brand new venture from Vocale Ltd, the company that produces the global leader in SIP education - The SIP School. WebRTC School is set to replicate the success of The SIP School by becoming the de-facto provider of WebRTC training and certification programs backed by the industry. So far, full support from WebRTC World, USTelecom, Comptel (and more) shows that for anyone wanting to get trained and certified on WebRTC Integration and Developer technologies they only need to consider one location, WebRTC School. People who need to understand the underlying infrastructure that helps to make the WebRTC ‘magic’ happen. Covering protocols, media flows, signaling, NAT traversal techniques and security plus various use case scenarios this program can be taken as a standalone course or used to complement the WebRTC School Developer (WSQD™) program. People who looking to understand WebRTC but with a special focus on learning all about the APIs and how to build WebRTC applications. A lot of information is in this program and includes 'Real Code' for the student to follow, download, even make changes to in order to get confident with application creation. How do I purchase access? The preferred method is via the website using a Credit Card or PayPal. We even accept Bitcoin and Ethereum. What is a training 'License'? A training License gives an individual student access to the training program and / or certification test that they or their company have purchased for them for a duration of 12 months from date of purchase. They are individual licenses and must not be shared with others. Sharing a logon (license) is against the Terms and Conditions of purchase and use, any such sharing will result in the revocation of the license with no refund. How much is the training and are there 'group' discounts available? WebRTC School Integrator training and access to the WSQI™ certification test is $225.00 and you can see this by clicking on the 'Buy it Now' button on the menu. WebRTC School Developer training and access to the WSQD™ certification test is also $225.00 and you can see this by clicking on the 'Buy it Now' button on the menu. You can purchase BOTH of these at the same time and save a lot of money, click on the 'Buy it Now' button on the menu to see the offer. NOTE: We are able to offer a big discount on the 'package' that includes both programs as there is some replication of content. Please take a look at the course outline PDFs on this page to see if you are then happy to purchase both courses using the 'package' offer. For 'group' discounts please send an email to us at discount@webrtcschool.com with all the information you can about student numbers and we'll work things out for you. How long does each training program take and how long do I have access for? The average student study time is approx 3 hours and includes the training and sample quizzes. The WSQI™ certification test is not included in this average. The average student study time is approx 5 1/4 hours and includes the training and sample quizzes. The WSQD™ certification test is not included in this average. For each course a student access license is valid for 12 months from the date of purchase. Any associated tests must be attempted before the license expires or access is lost. An email will be sent 2 weeks prior to expiry to warn of this. Licenses cannot be extended beyond the expiry date unless paid for. The WSQI™ or WebRTC School Qualified Integrator is a certification that proves you have a good foundation in all things related to WebRTC with a focus on the inderlying technologies that need to work in order for WebRTC apps to work, such as NAT, ICE, IETF Protocols, Security and much more. How does the certification test work? They are all 'Timed' and when you start the test you will be shown instructions before the timer begins. These instructions will tell you how much time you are allowed. For example, the WSQI™ test is timed at 80 minutes. Passmark for all tests is 80%. For example, the WSQI™ test requires 44 questions to get correct out of the 55 that we present to you. The WSQI™ and WSQD™ test licenses allow 3 attempts. If you use all 3 and need another attempt then you can purchase 'test only' licenses from the website. If you successfully pass the test you will be shown your score and then you can download your certificate and logo image by clicking on the 'History' tab on the website. 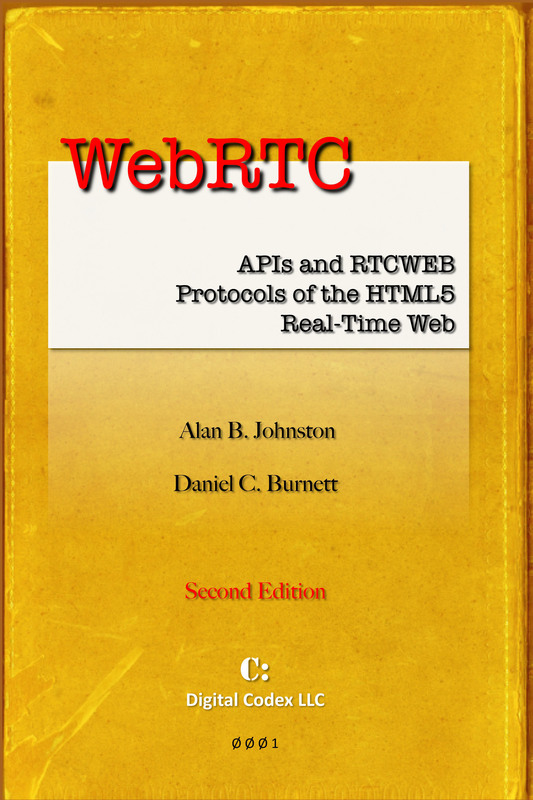 WebRTC is an amazing new technology that promises to transform communications. Is there a Classroom option for training? Is there support for the iPad or other Tablet devices? NOTE: We are not responbile for issues that arise from operating system upgrades i.e. IOS, Android etc. which result in the training not running or having issues of any kind. Of course we will strive to rectify the issues but may have to wait for bug fixes to be supplied to us from our 'Authoring' software provider. To run other 'Flash' based training programs on the iPad, use the remote streaming software called Splashtop Desktop Remote. This is a non-supported platform (by our 'Authoring' software provider) YET you do have options. Install and use the Puffin web browser as this supports Flash thus all training programs will run through this. Use the remote streaming software called Splashtop Desktop Remote. Google Chrome works - almost! When playing some slides in the course, Audio is clipped at the start of the slide. We are looking to get this fixed in the future. When using a tablet device, what is the minimum screen size recommended to view the course content? The training programs will run on most devices using a 'supported' browser but as there is a lot of detail displayed on the screen we recommend that screen sizes are no less than 240mm in size. Less than this and information will become hard to see. WebRTC is the hottest topic in communications today and The SIP School now has a 'sister' site in WebRTC School. Both of these sites are owned by Vocale Ltd.
Is there a WebRTC book that is recommended?